Quality Assurance Plan is a critical part of any project, as it enables to agree a set of quality targets with the customers. It then helps in monitoring and controlling the level of quality, which further indicates the level of adherence to the targets. The purpose of quality assurance plan is to direct and facilitate the establishment of quality assurance activities with in processes used to deliver right products and services to the clients. This also makes sure of the quality of the goods delivered. Quality Assurance Plan describes the principles, processes and procedures used to support the regular delivery of high quality products and competitive services. The quality assurance process is concerned with establishing the authority of the quality assurance function, standards, procedures and their monitoring and evaluation to determine quality in relation to established standards. 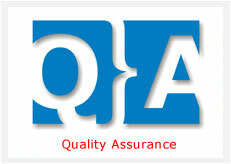 Quality assurance activities concentrate on the prevention of problems through the continuous improvement of processes. At Santec, there is a dedicated quality assurance team. Management is determined to protect the teams independence in dealing with the process quality  for both products and services. Management also helps the team to formulate the roles and responsibilities of each individual of the team. To develop and maintains the quality assurance plan. To conduct the audits and reviews. To ensure the quality assurance processes and procedures adequately control processes. To review and approve specifies deliverables. To promptly report the results of audits to management. To implement task level quality control based on quality assurance standards. To manage defects, errors and corrections. Structured walkthroughs are applied for detecting errors and improving products at any process stage. Independent evaluation of process activities or finished products is done through checklists and meetings. Independent examination of the products is carried out according to standards or contractual agreements.